He was the Laird of the "Holm" & Brockloch. Jean married her kinsman, David McMillan of Dalshangan. 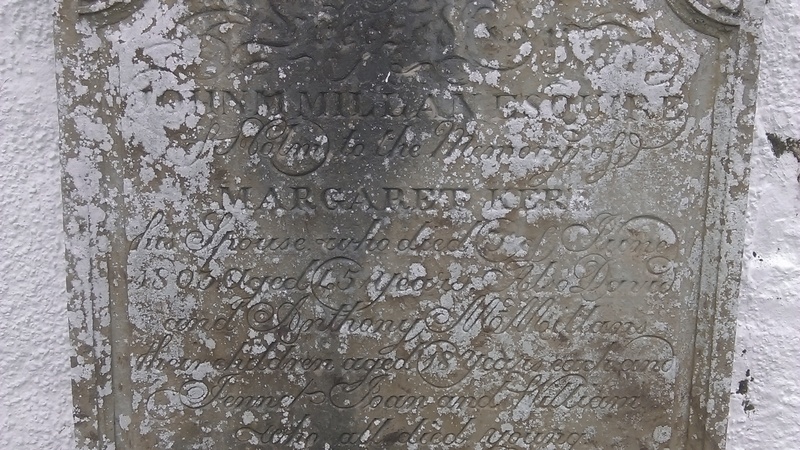 Margaret married Thomas Hastings from Huddersfield. Janet married a Mr. R. Dunlop. Fourth Moorbrock, and a third of Brockloch. the land was still owned in the same way. 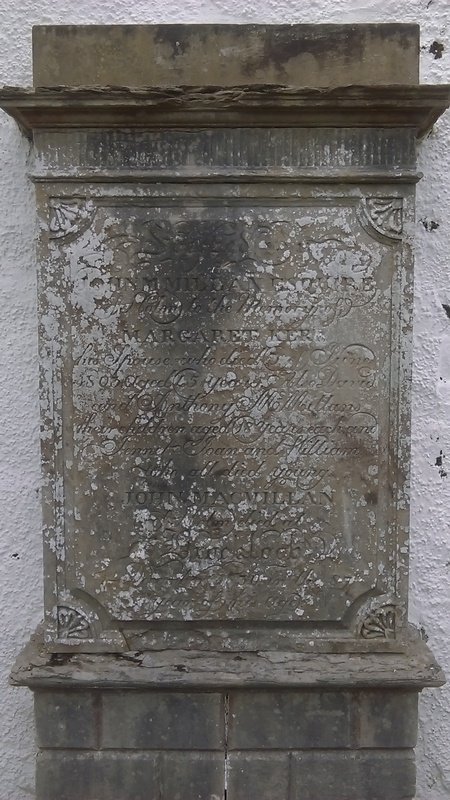 In his will, he gave £500 pounds to daughter Elizabeth MacMillan the spouse of Alexander Kennedy, and £500 to natural son Alexander MacMillan on account of his long and faithful service. Gave £400 pounds to daughter Marion MacMillan spouse of William Barber in form of 4% annual interest payments to be administered by Robert MacMillan. Jean, Margaret and Janet MacMillan each already had received £100. His eldest son Robert Macmillan and second son John Macmillan were to receive a half share each of the Black cattle, horses, and sheep upon the lands at Brockloch (which previously had been granted wholly to John Macmillan). Robert Macmillan his eldest son also received a gold watch and silver plate and six best chairs, as well as the main part of the estate. 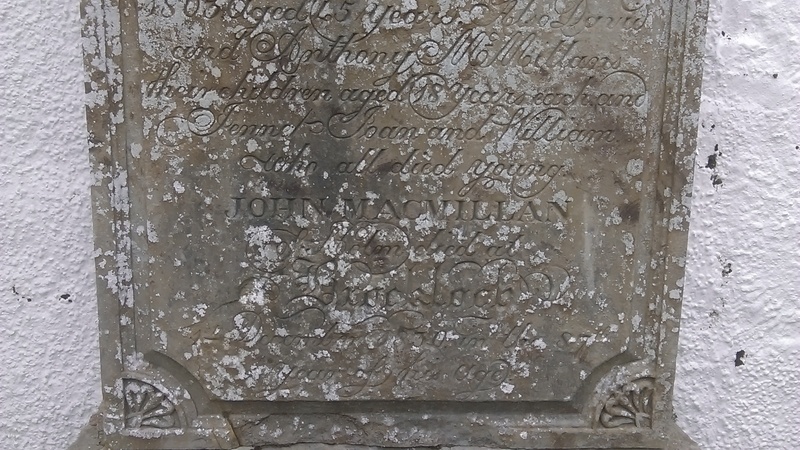 Will of John Macmillan (kindly provided by Andrew McAdam via email who is a descendant of Elizabeth MacMillan and Alexander Kennedy).